Country 100.7, also known on air as CIGV-FM, is one of the top Canadian channel broadcasting in Penticton, British Columbia. On October 18, 1981, Ralph & Jean Robinson’s Great Valleys Radio Ltd. started the channel for which they applied ten years ago. In the same year, the two rebroadcasters of Country 100.7, CIGV-FM-1 at Keremeos and CIGV-FM-2 at Princeton, were added. On February 15, 2013, after getting authorization from the CRTC, Newcap Radio, the current owner acquired the rights of the Country 100.7 Penticton. CIGV plays the country format and is the only channel playing the genre in the city. During the August of 2012, the name of the morning show was changed to Okanagan Mornings with Roo Phelps. Scott George is the host of Okanagan Afternoons. Wait for a second as the online streaming of the channel will be in few moments. As the Country on airs at 100.7 MHz FM Frequency in Penticton, British Columbia, so the people in the city can enjoy the top hits by tuning to the frequency. 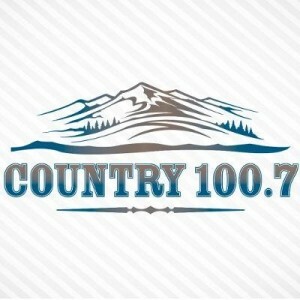 Online fans can listen live Country 100.7 Penticton, BC Online streaming from the official site. From the site, one can also see the events of the community, rules of the contest and the upcoming concerts. One can also see the now playing and the recently played playlist from the site. Download the app from the official site and enjoy CIGV on your smartphone. Fans can follow the CIGV-FM on Facebook, Twitter, Instagram, YouTube and Soundcloud. Casey Clarke, Roo Phelp, Jessica Whitworth, Scott George and Gerry O Day are the famous and notable on-air hosts of the channel.